ABB will supply its innovative WindSTAR power transformer, which is specifically designed to fit into the tower of a wind turbine. 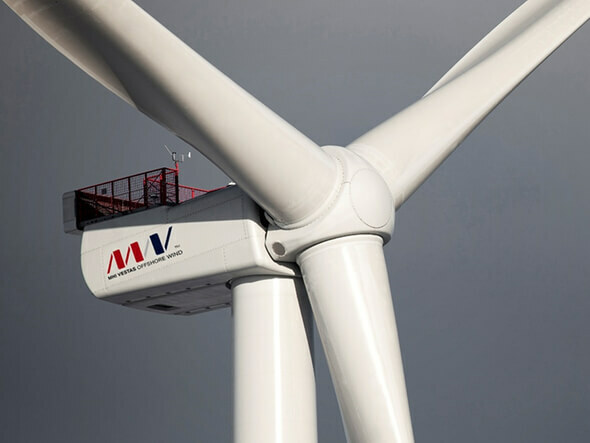 This transformer enables a new generation of powerful offshore wind turbines to operate at the world’s highest voltage of 66 kilovolts (kV), which significantly reduces losses and increases efficiency. It also brings lifecycle benefits and cost optimization. ABB pioneered transformer technology in the 1890s and has since been at the forefront of record-breaking innovations including the world’s highest voltage HVDC converter transformer and AC transformer at 1.1 and 1.2 million volts respectively. As the world’s largest transformer manufacturer and service provider ABB has an unparalleled global installed base and a vast portfolio of power, distribution and special application transformers.